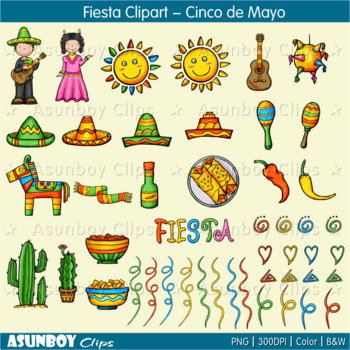 Fiesta Clip Art set is perfect for creating Cinco de Mayo resources. 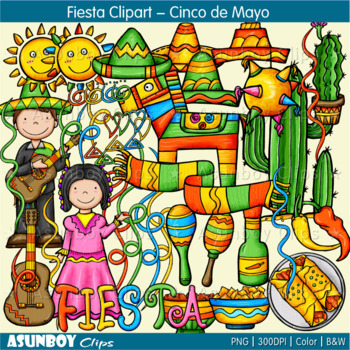 This is a set of Vibrant and whimsical Fiesta Clip Art. You will receive 79 png images. 1. All images saved at 300dpi in PNG files with transparent backgrounds. 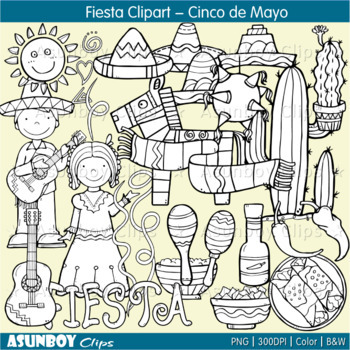 They can easily be layered in your projects/lesson materials , or for clear, crisp printing! 2. This is a zip file. Please check that you are able to open zip files and ensure that your zip opening software is updated. 3. Due to the digital nature of these products, no refunds or returns are available. 1. 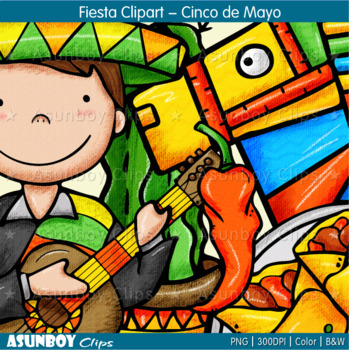 Graphics from Asunboy Clips can not be shared or distributed as image/clipart files for any reason. 2. You can create a teaching document file with them where the images are embedded and credit is included within the file. sell or give away, by giving us a simple credit in your file. Thank you and enjoy! Wish you have A Sun Day!